With so much in the news lately about Facebook and the harvesting of Facebook user data by Cambridge Analytica, many people are concerned about their privacy and online safety. Some people are closing their Facebook accounts but if you are looking for an alternative, you may just want to change your privacy settings. However, there are many layers of privacy to consider. 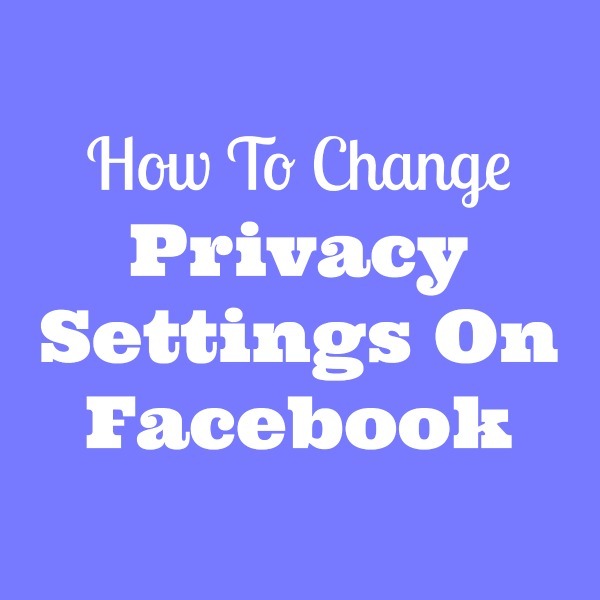 Here are detailed instructions with screenshots on how to change privacy settings on Facebook, and how to make sure you select privacy settings for apps and ads on Facebook too. So you know you should probably change your privacy settings on Facebook but you don’t know quite where to look or if you have addressed all the main concerns. 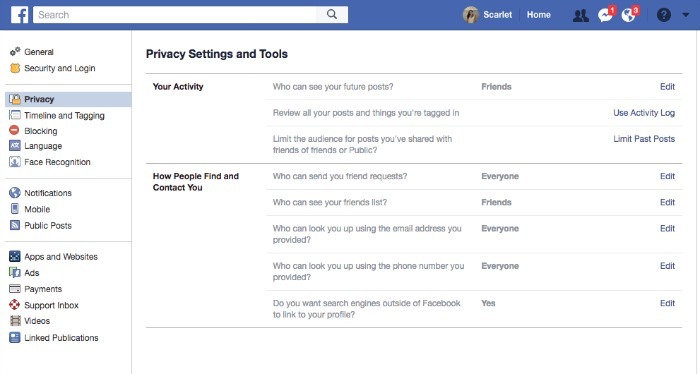 That is where this handy dandy guide will help you know what 4 main areas you need to change privacy settings on Facebook and where to find them. First when in your Facebook Dashboard, look all the way to the top right corner for a down arrow that is next to the question mark. If you click on that tiny little down arrow, you will get a drop down menu and there you should select settings. Once on this general settings page, you will be able to zone in on the three areas you should change privacy settings on Facebook. 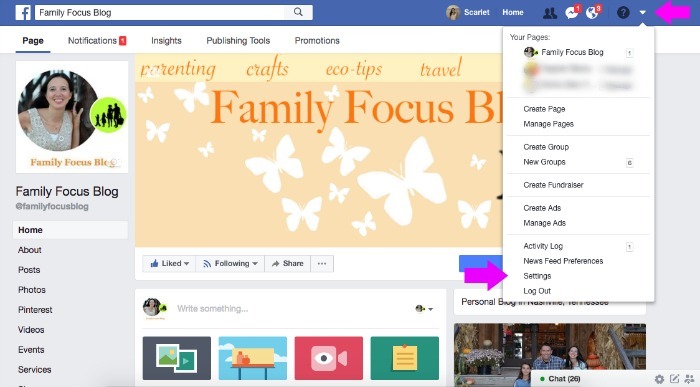 The General Facebook Settings page is very basic and may not require any updates but it is worth a look see plus this page is the starting point for modifying the other three areas to change privacy settings on Facebook. Finally, there is a button on this page that says, “Download a copy of your Facebook data”- do NOT push that button unless you are on a secure connection. From the general settings page described above, you will look on your left and see a menu where you will click “Privacy”. 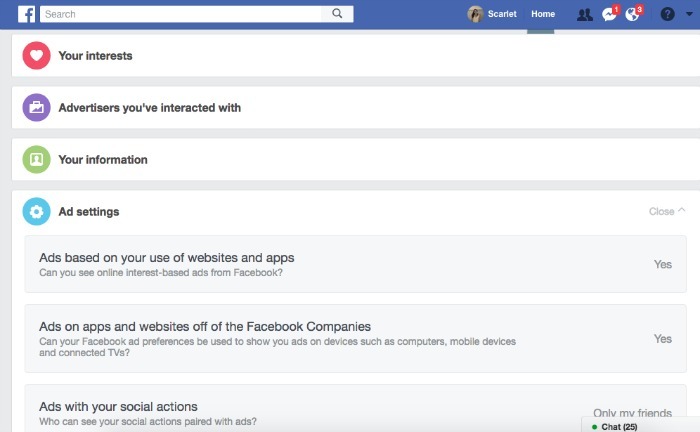 Once you click on that you will see a “Privacy Settings and Tools” page with a few basic questions about who can view your Facebook activity. Click edit to chose between friends, public, friends except, and specific friends. It will also provide you with options for “How People Find and Contact You”. To change any of the options on this page, just click edit and select your new choice. From the general settings page described above, you will look on your left and see a menu where you will click “Apps and Websites”. 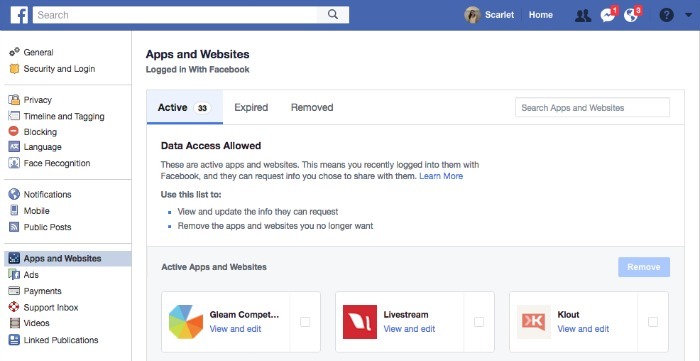 Once you click on that you will see a “Apps and Websites Logged in With Facebook” page with a list of apps that you have used and recently logged into them with Facebook. The apps can request info you chose to share with them. You may want to look over this list and remove any that you don’t use anymore. From the general settings page described above, you will look on your left and see a menu where you will click “Ads”. Once you click on that you will see a “Your Ad Preferences” page with Your Interests, Advertisers You Have Interacted With, Information, and Your Ad Settings. You can adjust any settings you like here. That should do it! Now you know know how to change privacy settings on Facebook and fully customize it to your choices. Keep in mind that if you chose to give Facebook access to less information, you will still receive ads in your feed but they will be less targeted and possibly a not as good of a user experience… but you get to make that decision. 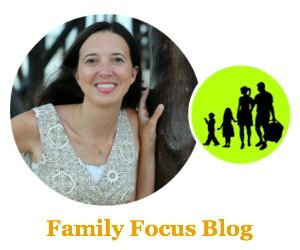 Keep in mind that if you have children with Facebook accounts you will want to help them to change privacy settings on Facebook along with discussing technology ground rules for kids.